Put your (s)kills to the test in Hitman 2's clever new competitive mode on November 13. 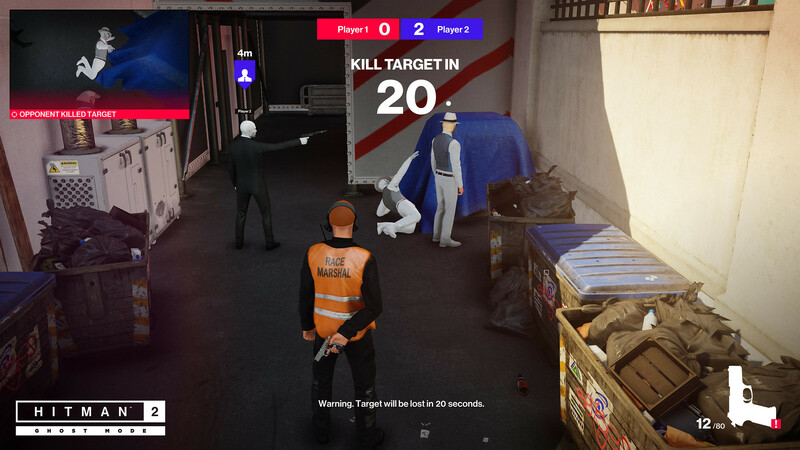 Ghost Mode is a brand-new game mode coming to Hitman 2! It’s a 1v1 competitive multiplayer mode done our way, with our rules and promises to put all of your assassination skills to the test. Your mission in Ghost Mode is to kill targets faster and cleaner than your opponent. You’ll race to eliminate the same target to earn a point and then you’ll both move on to the next target. The first to earn five points will win. So far, so good. The twist with Ghost Mode is that you and your opponent will hunt targets in separate realities. You both play in the same location, for example Miami, and have the same target to hunt, but the status of your reality is only affected by your actions. To add to the fun (and tension! ), you can see a Ghost version of your opponent in your reality, so you can see how close they are to the target, what disguise they have on and any items they’re holding. When your opponent eliminates a target in their reality, you’ll have a short time window to successfully kill your own target to equalize the score and stay in the game. But don’t panic because if you kill non-targets, your score will decrease. Next time, you’ll want to put the pressure on your opponent by getting that first kill and starting that countdown timer. Ghost Mode is not always about being the fastest – you also need to be smart and precise. Your target kills need to be unnoticed to earn points and start with a limited loadout. To find more items, you’ll need to find and open Ghost Crates that are located within the location. Each Ghost Crate contains a selection of items, which are the same for both players. If you’re the first one to open it, you’ll be able to choose the item you want and stop your opponent from taking it. If you choose to run straight for a Ghost Crate, that might mean your opponent gets the first point, but you’ll be prepared for the next one. You’ll be able to play Ghost Mode and test your assassination skills when Hitman 2 launches on November 13. The game will invite you into a world of assassination, where Agent 47 will travel across the globe to multiple continents as he hunts the mysterious Shadow Client. 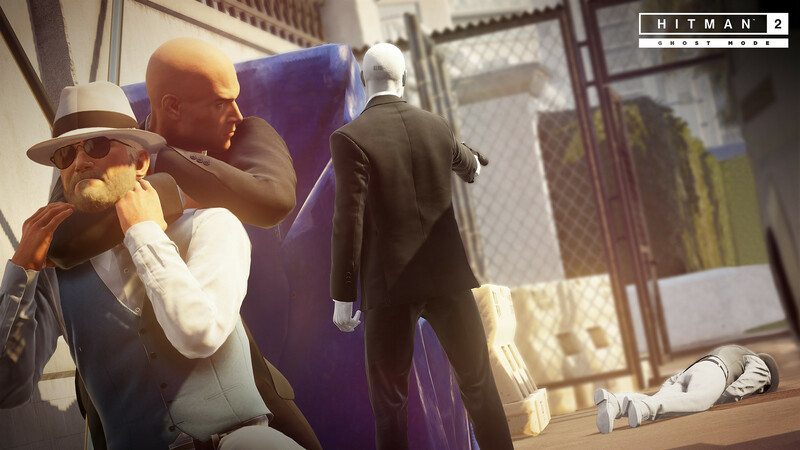 Hitman 2 will also include the brand-new Sniper Assassin game mode at launch for all players. Sniper Assassin allows you to complete a sniper mission in online co-op, a first for the Hitman franchise, and anyone who pre-orders the game will get early access to Sniper Assassin, available to play now! As we move closer to our November 13 launch, it’s a genuine thrill to talk more about our game and reveal details to our players. 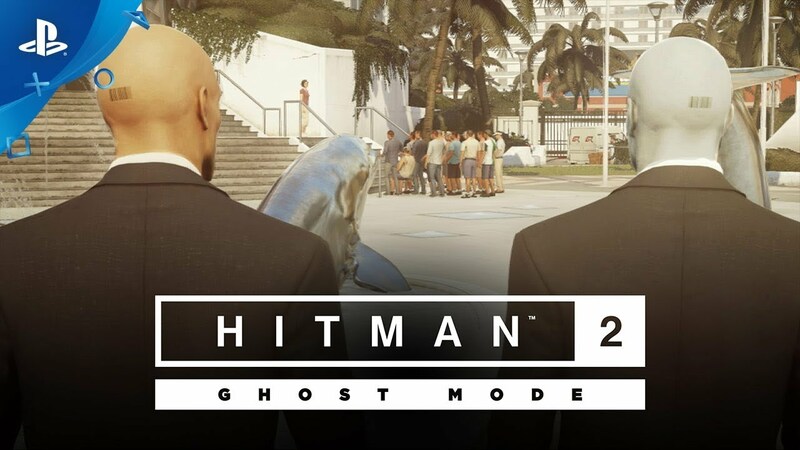 Everyone on the team at IOI has worked extremely hard to make Hitman 2 the best game possible, and we look forward to hearing what you think of Ghost Mode! Wow, this sounds really cool! 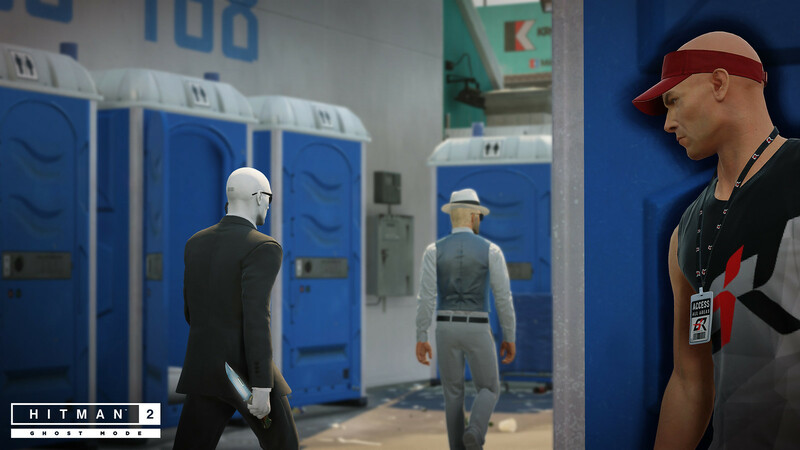 I loved Hitman 2016 – looking forward to Hitman 2! I’m really excited that you guys are building on the same platform as the last game and adding to it. Looks great! It’s gonna be great! Thanks for the love and support. See you in Ghost Mode! Hitman Contracts and Hitman Blood Money Remade like Capcoms BioHazard 2 / Resident Evil 2 Remake and add to this even Hitman Absolution Make Hitman an Open World Game like GTA, Just Cause 4, Imagine the Possibilities. I Have! I’m very Excited to await and Play Hitman 2. I can’t wait for the Next Evolution Of Hitman. One is Not Enough. More Please This game gets better and better each time it comes out Thank you IO. 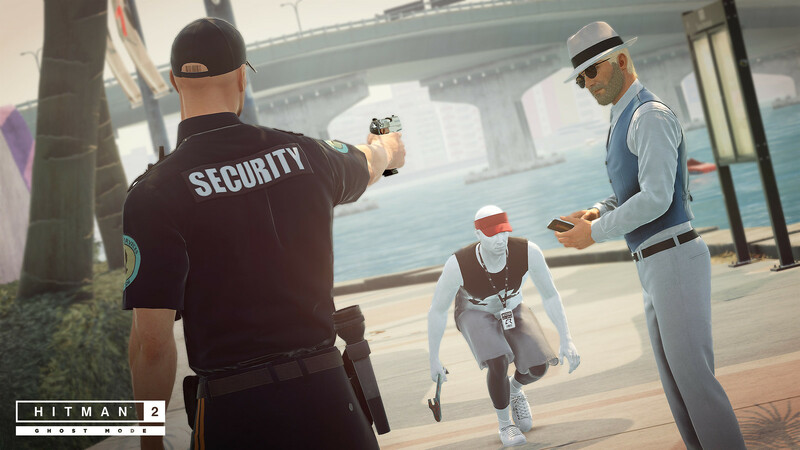 IO Make your next Hitman 3 as an Open World Game like the Grand Theft Auto Series, Saint Row etc. And Agent 47 Drive, a car a truck or ride a motorcycle when you are disguised as a biker perhaps. fly a plane, Parachute to your target or land your plane . Fly to a part of the city, or in another state or a flight around the world fly to a mountain where a fortress is located. Maneuver a boat , swim if you can’t dock your boat due to heavy security. Or if you feel like it; Walk, Run, climb, etc. to your target. Have Safe Houses around the city. Be able to purchase cars, planes, boats, cycles, weapons, clothing with your money that you aquire from a successful Hit. Not One but Two Incredible Games; Sandbox games Loved by the world! I Hope you can Share My Dream One Day. And make this Dream A Reality and Not Just a Dream. But A Dream that will Fulfill Everyone’s Dream!